This junior pillow with stay clean waterproof cover that can be kept clean by simply wiping with a damp cloth – low profile for our juniors in the family. 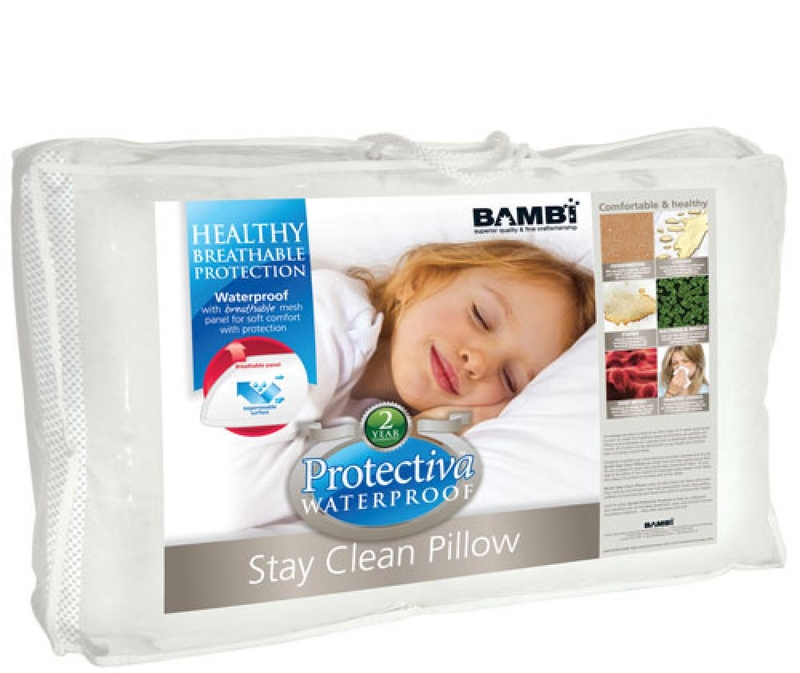 With polyester fill and a poly-knit polyurethane fabric cover, this waterproof pillow is soft, comfy and very easy to care for. One end of the pillow has ventilated breathable eyelets to ensure freshness and comfort.